3.3 out of 5 based on 25 bloggers and 8 commenters. 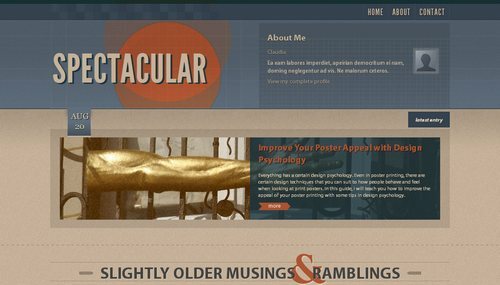 Spectacular is a free blogger template adapted from WordPress with 2 columns, magazine-styled, right sidebar, footer columns and posts thumbnails. @Khym You can find the answer to your questions and more in our FAQ section. It’s a really beautiful and unusual template but it’s not working, something is wrong with the code. I hope you can fix it, I’d love to use it. removes the page based menu section around 852 lines … it works. What a shame! This is such a beautiful template, but as others have said, it is unuseable. Blogger will not upload it.